A Stepwise guide of software is prepared for the ease of our user to complete the task without any complications or confusions. 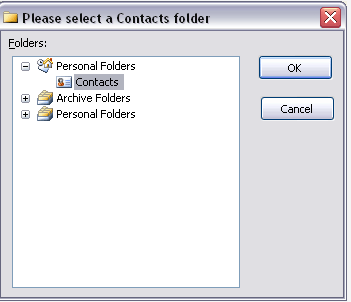 It is directed that you must follow the given steps to carry out conversion successfully. Download and install software from our site. 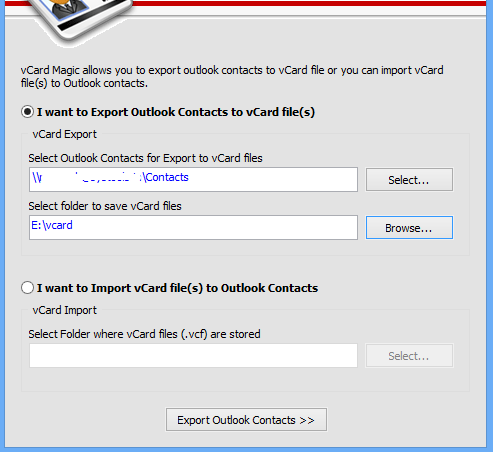 To launch the software click Start >> Programs >> Convert Outlook Contacts. A startup wizard will be prompt as shown below. 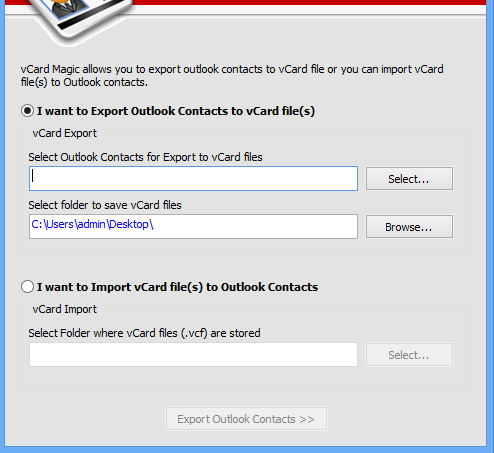 Select the option "I want to Export Outlook Contacts to vCard file(s)" from the software wizard..
To select the contacts from outlook PST file, click select button the following software wizard will prompt choose the contacts folder from here that is to be converted and Click OK.
Click Browse button to specify the location path that save converted vCard files and Click OK.
Click Export outlook contacts button, a window will prompts indicating the summary of conversion process that include number of contacts found, selected PST file and saving path for vCard file. 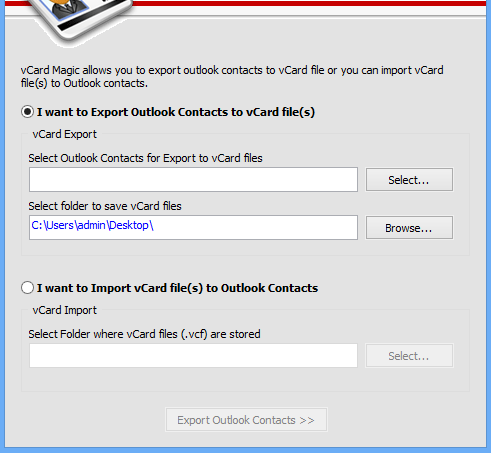 After exporting all contacts successfully software will ensures it by "Export Finished" dialogue box.